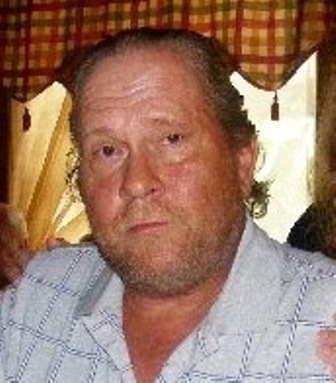 Mr. Christopher J. Myers, age 55, of Kill Buck, New York died very unexpectedly on Monday, October 5, 2015 at Buffalo General Hospital, Buffalo, New York. Born on March 27, 1960 in Olean, New York, he was the son of Mrs. Regina V. Sieracki Myers and the late Stephen J. Myers Jr. He resided in Kill Buck, New York and spent his winters in Ormond Beach, Florida. Mr. Myers grew up in Kill Buck, New York and attended school in Kill Buck and Salamanca. While in school, he was a member of National Honor Society, Who’s Who Among High School Students, and he participated and set records in football, basketball, and track & field. He was a member of Salamanca Class of 1978/post graduate Class of 1979. He graduated from Canisius College in Buffalo, New York. He owned and operated Myers Trucking for 7 years. Previously, he was employed by Allegany State Park on the road crew and maintenance department. Also, he had been employed as Postal Clerk with U.S. Post office housed in the Kill Buck Store. He eventually took over the store from his parents and ran it for approximately 5 years until its closing. He had also worked in road construction and carpentry in both New York and Florida. Most recently, he had hopes of cattle raising and farming. Mr. Myers was a member of 4H in his youth. He later became a member of the Kill Buck Volunteer Fire Department, and was instrumental in the architectural design and construction of the Kill Buck Volunteer Firemen’s Pavilion that was used for the annual Firemen’s barbecues and other festivities. He also had many architectural inputs on several homes and businesses throughout Cattaraugus County and the state of Florida. He was a member of the United Union Workers of America and the Carpenters Union in the State of Florida. He enjoyed hunting, fishing, outdoor activities, farming, bowling, and photographing the plentiful deer and other wildlife in Thorpe Hollow. He was an avid sports fan and enjoyed watching college and professional basketball, football, NASCAR racing, and the Olympics. Surviving besides his mother are: 2 sisters, Carolyn (John) Day, Kathryn “Kasia” (Bondi) Powell; 3 nieces, Katie, Miranda, Kirsten; 4 nephews, Evan, Shane, Vincent (Heather), and Nicholas; a great niece, Lili; a great nephew, Alex; cousins, Joseph (Marjorie) Myers, Julie (John) Florea, Cynthia (Robert) Lockwood, Victor (Sue) Sieracki, Michael (Jane) Sieracki; and all of the cousins’ children; several other extended family and dear friends; last but not least, his loyal companion, Ginger, his dog. He was predeceased by a brother, Stephen J. Myers III and a sister, Mary Ann Myers. A graveside memorial service will be held in the Calvary Cemetery Mausoleum on Saturday morning October 24, 2015 at 12 p.m. with Deacon Michael Anderson, Our Lady of Peace Parish, officiating.